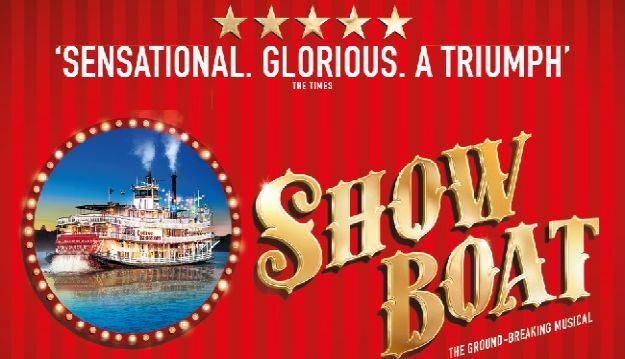 With music by Jerome Kern and book and lyrics by Oscar Hammerstein II based on the novel Show Boat by Edna Ferber, Evans’ production of Show Boat is booking to 7 January 2017. Designs are by Lez Brotherston with choreography by Alistair David, musical supervision and direction by David White, lighting by David Hersey, sound by Paul Groothuis and video design by Tim Reid. Evans’ sell-out production opened at the Crucible in Sheffield on 10 December last year and after being hailed by audiences and critics alike extended booking to 23 January 2016. Show Boat is produced in the West End by David Ian with Bob Bartner and Norman Tulchin. Casting for this production will be announced shortly. Multi award-winning Daniel Evans took over as Artistic Director of Sheffield Theatres in 2009 and in June this year he steps down to take over as Artistic Director of Chichester Festival Theatre. As a director at Sheffield Theatres his productions include An Enemy of the People – the opening production of his inaugural season, Racing Demon as part of The David Hare Season, Othello, Macbeth, My Fair Lady, The Full Monty, This Is My Family, Oliver!, Anything Goes and The Effect. As an actor, his work for the company includes Company, The Pride, Cloud Nine and The Tempest. An award-winning actor and director, Evans’ work includes Sunday in the Park with George for the Menier Chocolate Factory, Wyndham’s Theatre and on Broadway – a role for which he won his second Olivier Award for Best Actor in a Musical and a Tony Award nomination. His additional extensive credits include work with the Donmar Warehouse, Royal Shakespeare Company, Royal Court Theatre and National Theatre. Evans is a Fellow of the Guildhall School of Music and Drama. This version of Show Boat was originally produced by Goodspeed Musicals and was adapted and directed by Rob Ruggiero and presented by special arrangement with R&H Theatricals Europe. The show’s Broadway premiere was in 1927.